It's Ria here today for a quick card as always. 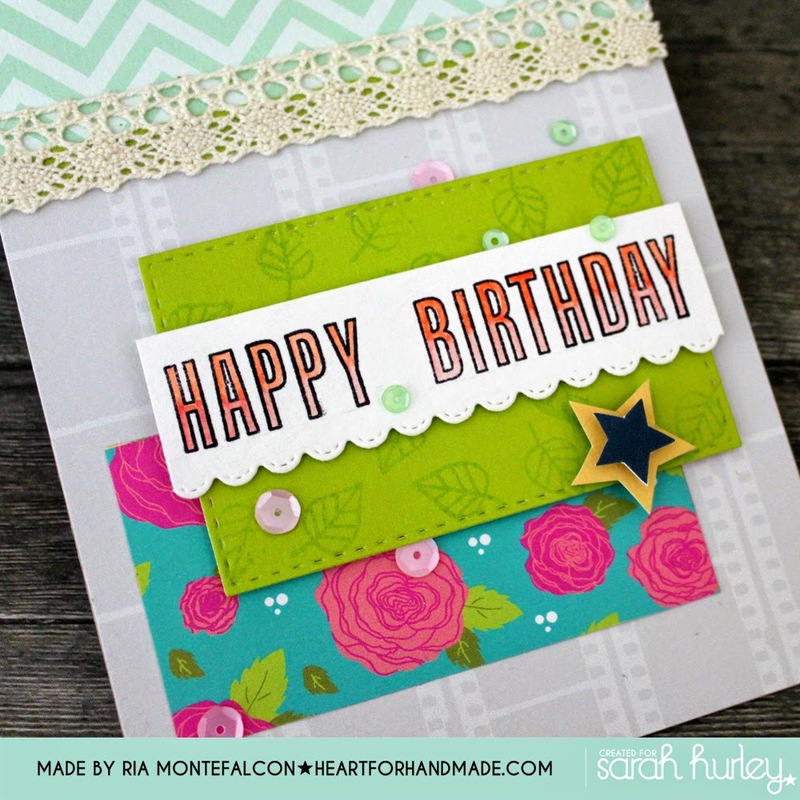 I love making cards even with minimal craft supplies, one that you can create easily yet fun. For my project, I used a combination of papers from Sarah and the Outline Alpha stamps. I first stamped the Happy Birthday sentiment, then watercolor them by using gradation of orange and red color. I used a die to make some scallop design at the sentiment. 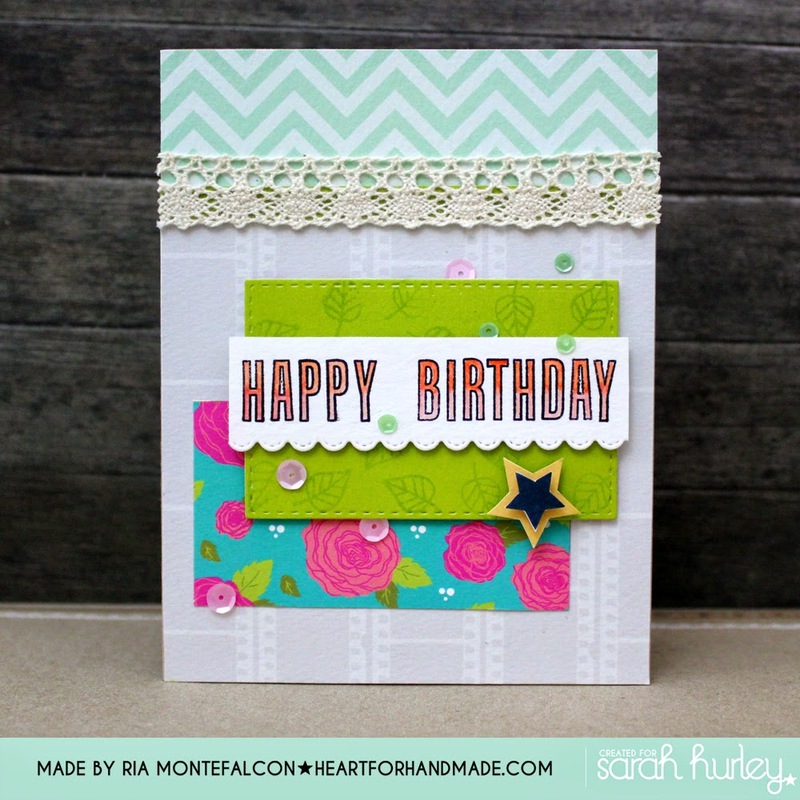 I again used a die to cut the green paper but I stamped the mini leaves on the background for some texture. The stars are from Sarah's kit that I already have on my stash. I fussy cut them and layered the yellow and blue stars on top of each other. For some texture, I also added a crochet ribbon along the strip and sequins along the patterned papers.